The bottle dress was made mostly from 3/16id chrome rings though some 1/4id rings were used for the mantle part. The flower is a seperate entity, but for display purposes i just threw it in the top of the bottle. 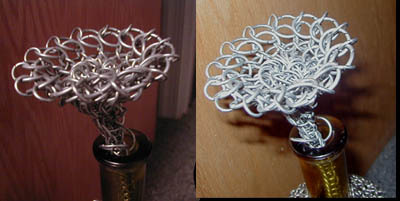 The flower is made almost exactly like my other one, except no copper is used.